Crown and bridge in Pune is a long-term method of replacing missing teeth. If your tooth is severely damaged due to decay, cracked teeth or trauma than you may need a Dental treatment in Pune. One option to replacing missing teeth when teeth exist on either side of the space is a bridge. A bridge spans a space where one or more teeth have been lost in the Dental arch. The teeth on either end of the span are crowned, and are referred to as abutments. The false teeth in a bridge that join the abutments are referred to as pontics. Both esthetics (appearance) and function are considered when selecting the material most suitable for you. 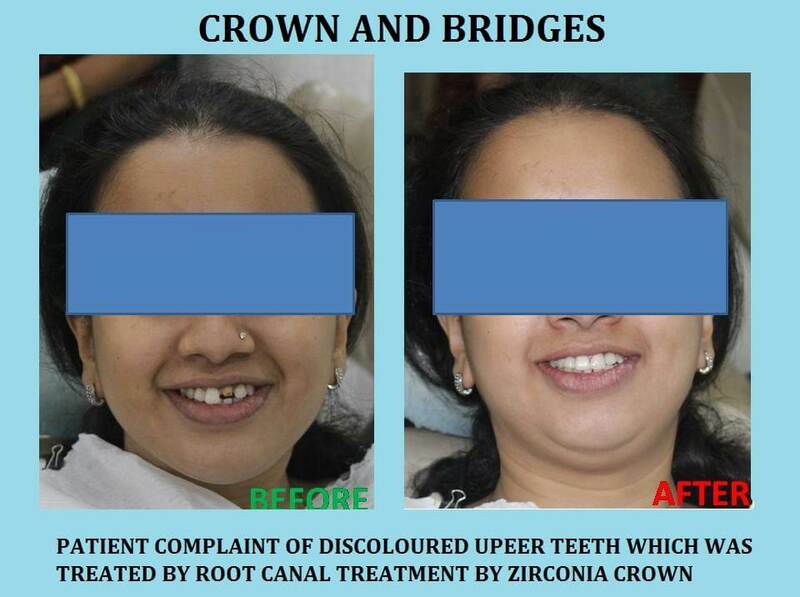 Crown and bridges in Pune fit completely over the affected teeth. To prepare for a crown or bridge, the tooth is prepared by being trimmed down (reduced) to accommodate the crown or bridge. The crown or bridge restores the size, shape and look of your tooth, and more importantly restores function. The procedure of placing a crown and bridge in Pune usually requires 2-3 visits. It typically takes 3 separate appointments for a Best dentist in Pune to place a Dental crown. 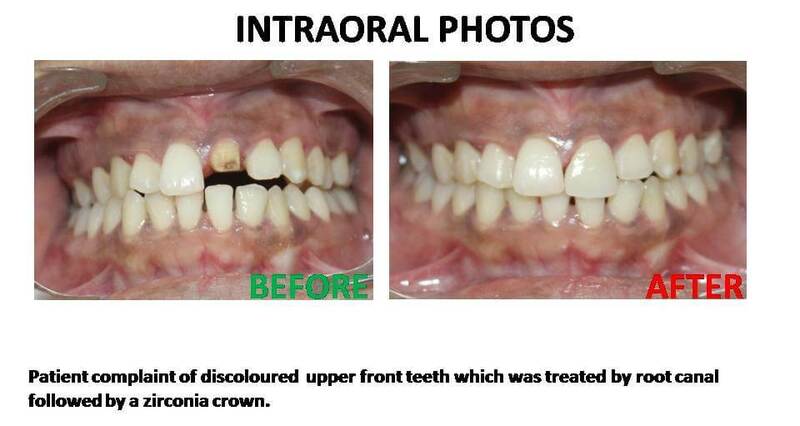 Depending on the material of crown to be placed treatment may last for 5-10 days. A.The first appointment involves shaping the tooth, taking its impression and placing a temporary crown. B.In the second appointment trial of the crown or bridge in Pune is done to check for the marginal fit, anatomy,shade and occlusal hormony while biting. C.When the patient returns for their third visit, the Best dentist in Pune will cement the finished crown in place. As a variation on this basic process, our Good Dentist in Pune may fabricate the CAD-CAM Dental crown/bridge in 2 appointments. A Dental crown completely encases a damaged tooth within a custom-design, custom-fit cap that fits perfectly over the damaged tooth. The crown thereby restores full functionality to a tooth that may have been cracked, had excessive decay, or had Root canal therapy. A Dental cap is just another term for a Dental crown. A Dental bridge is a device used to replace a missing tooth by placing an artificial tooth between two adjacent teeth and permanently affixing it to the adjacent teeth. There are several types of Dental bridges, but each is custom-made to fit the patient’s arch. Dental bridges require that the two teeth adjacent to the missing tooth be shaped to accept the bridge. Crowns are placed on the shaped teeth and attached to the new artificial tooth, forming a bridge. If a single tooth is missing between two other teeth, a Dental bridge can be used. For years, the Dental bridge was the most reliable way to replace a single missing tooth. Today, advances in Dental implants in Pune make them a popular choice for replacing a single tooth because a Dental implant in Pune doesn’t impact the adjacent teeth and preserves the bone in the area of the missing tooth. Why Replace Missing Teeth with a Dental bridge? Losing a tooth can be of social and psychological concern. When a permanent tooth is lost, the neighboring teeth are affected. Because the support and chewing forces are altered, the remaining teeth will begin to shift. The tooth above or below the one that was lost will begin to move up and out of its socket. This accelerates periodontal (gum) disease and causes further breakdown in the Dental arch. If the missing tooth is not replaced, more teeth will eventually be lost, due to the improper forces exerted during chewing. Dental clinic in Pune are the standard of care for replacing missing teeth today. With Dental implants in Pune, you can choose a single tooth implant, restore several missing teeth or restore all your teeth. While Dental implant in Pune are more costly than Dental bridges, the benefits are significantly greater, like not needing to modify nearby healthy teeth or replace the bridge years down the road. How Many Appointments are Required to Get a Dental Crown/Bridge? Two to Three appointments are sufficient. This will depend on your situation and clinical needs. A Good quality restoration will take 10-15 days to be manufactured meaning that you will need at least two appointments several weeks apart. You have a temporary crown or bridge in Pune in the mean time. Quality work cannot be done in short spaces of time. How Long does Dental Crown/Bridges Last for? With routine Dental visits and excellent home care, Dental Bridges can last atleast for 7-10 years. What material is a Dental crown/bridge made up from? There are three primary types of Dental crown materials: All-ceramic (porcelain), porcelain-fused-to-metal, or metal ( stainless steel/gold) . Not necessarily. 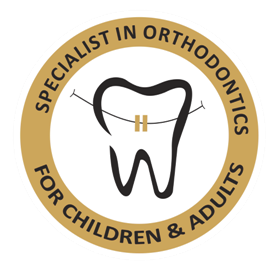 It depends upon the condition of teeth on either side of the gap & the condition of bone If the teeth either side of a gap require crowns then it is more sensible and economical to have a bridge. If the teeth on either side of the gap are healthy then Dental implant in Pune is the Best option for you. Crowns and bridge in Pune can be made of various metals, high strength ceramics or a combination of both. Different types are suitable for different people and in different areas of the mouth, and different aesthetic demands. Dr. Shibli can advise what would be the Best solutions for your needs. The quality and appearance of your crown is not dependent on what its made of, its dependent of the skill and artistry of how its made. Bridges are an excellent solution to replace missing teeth in order to restore your Smile designing in Pune, improve the appearance and support for the shape of your face, can help with eating and speaking and can prevent other teeth from drifting out of position. In order to prepare teeth for a Dental Bridge, tooth structure must be taken away to accommodate the fitting of the new bridge. This can be justified if the teeth that are being prepared are decayed or heavily restored. In the case of teeth that have never had fillings and are in Good health otherwise, the idea of cutting them down to prepare for a bridge is not ideal. In this case, Dental Implants in Pune can be an excellent alternative treatment. What are Dental bridges side effects? Dental bridge side effects are generally rare. Like any procedure that involves your gum disease treatment in Pune, there a risk of gum infection or inflammation, but that is rare. Your Best dentist in Pune will also consult with you prior to the procedure to assure you don’t have allergies to the materials being used. The biggest issue isn’t a side effect, but the fact that with a Dental bridge two healthy teeth need to be altered to replace one missing tooth. A Dental bridge is a permanent device that requires two healthy teeth adjacent the missing tooth to be shaped to accept the crowns of the new Dental bridge. What special care is required after placing the crown/bridge? Good brushing and flossing. Maintain the area of bridge underneath the ‘false’ tooth clean with the help of floss and the interDental brush. Avoid eating hard and sticky foodstuffs over the crown/bridge. For more information on crown & bridges please feel free to chat with us online or fill your query in our contact us form. Our executives are more than willing to help you 24 X 7.